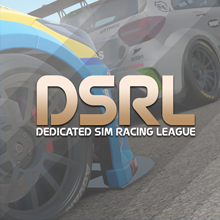 :: Welcome :: Welcome to The Dedicated Sim Racing League :: Introduce Yourself! I have bean into sim racing from the early days on PC with the GP series, went to Forza then graduated to an xBox One with Forza 6, Project Cars and recently Dirt Rally. I currently race on TVRF in Forza 6 and Project Cars where I'm affectionatley known as Granddad . Looking forward to racing with you guys soon. Hey micko! Welcome to the forums! If you have room in Sun 5th June race I would love to join in. If I'm lucky enough to get in how do I get an invite? @micko39 wrote: If you have room in Sun 5th June race I would love to join in. There is always room for drivers! Simply look for the current week's race topic, found here, and post "IN".